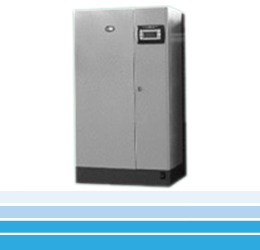 TWI Series Industrial Cooling Towers are specially designed for heavy duty industrial and process applications. It provides more wetted surface for uniform water distribution and high heat transfer rate. The structure of TWI Series Cooling Tower is a very durable tropical hardwood or FRP Pultruded tower body and heavy duty fan machinery to ensure NO equipment downtime and production delays. Fan machinery and heat exchange media are optimised to deliver maximum horsepower for lower operation cost. Furnish and install an induced draft, corssflow, factory-fabricated, field assembly wood or FRP Pultruded cooling tower. Tower shall have capacity to cool __m/hr from __C to __C at a design entering wet bulb temperature of __C. Structural framework shall be tropical hardwood or FRP Pultruded Structure. All framework joints shall be through-bolted. Columns and diagonais will transmit wond loads to anchorage. Casing and louvers shall be corrugated fibreglass reinforced polyester. Louvers shall be slip fit into the louver column. Fan deck shall be FRP Pultruded Structure. Fill splash bars shall consist of tropical hardwood or PVC extruded bars. Splash bar shall be supported in stainless steel grid support which are firmly attached to structural girt members. Drift eliminators shall be 2-pass design tropical hardwood blades slipfitted into the fibreglass reinforced polyester holders or 3-pass Cellular PVC design. Hot water distribution basin floor shall be FRP moulded type. Equally sized and symmetrically spaced, removable and replaceable polypropylene target nozzle installed in the floors of the two open basins shall distribute water uniformly over the entire fill area. Adjustable flow control valves with cast iron bodies and locking bars shall be included to balance flow of water at each cell. Access ladder shall be provided to give safe access to the fan deck. Access door shall be provided for access to eliminator plenum. A FRP Pultruded handrail & kneerail shall be furnished around the entire fan deck perimeter. A hot dip galvanised steel fan guard shall be furnished over each fan cylinder. All bolts, nuts and washers shall be hot dip galvanised steel. All Steel components shall be hot dip galvanised after fabrication. Stainless steel hardware are available as options. Each tower cell shall be equipped with one propeller type axial flow fan with six or more cast aluminium blades. Each blade shall be adjustable and individually attached to cast iron hub. Fan drive shall be through right angle spiral bevel gear reducer. The motor driver and speed reducer shall be coupled through a full-floating driveshaft of stainless steel tubular design. Fan motor shall be not less __kW, __rpm, __Phase / __Hz __volts. The motors must be designed and manufactured specifically for the cooling tower environment. A tapered fibreglass reinforced polyester fan cylinder shall be provided. Concrete basin and foundation, starting equipment, pumps, cabling and external pipings shall be supplied by other contractors.